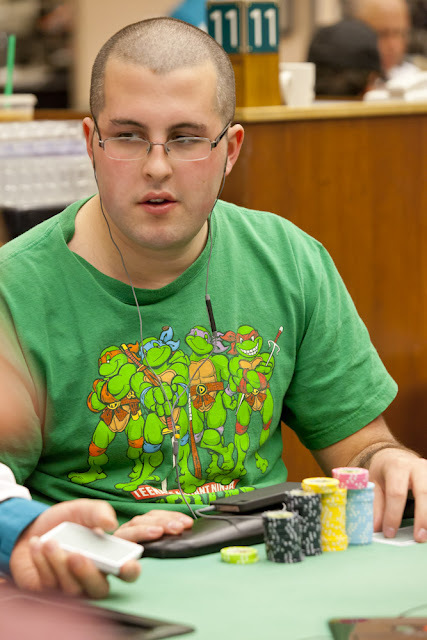 Once the tournament chip leader, Andrew Badecker has been eliminated. He lost A8 to AQ in a button vs. big blind battle, and got the rest of his chips in with ten eight. Andrew plans to play a satellite tomorrow to Day 1b of the $10,000 WPT Main Event.